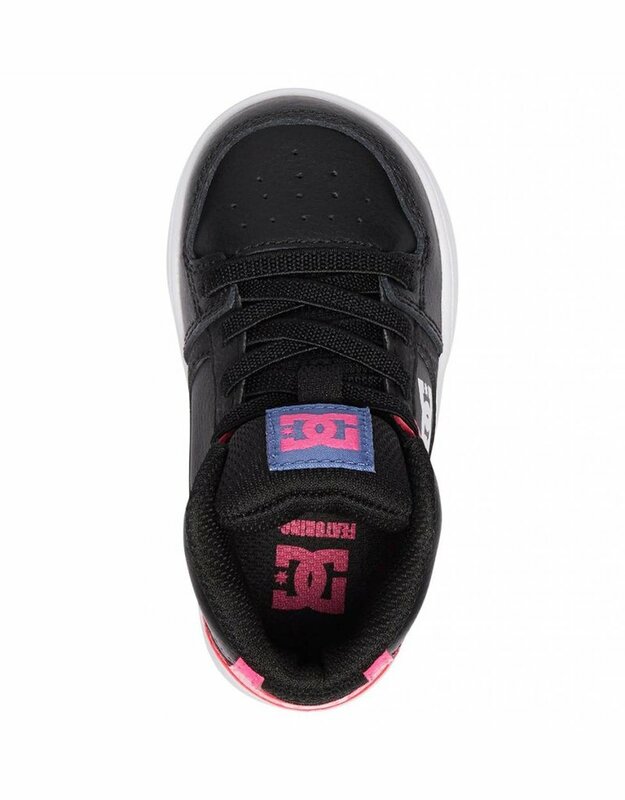 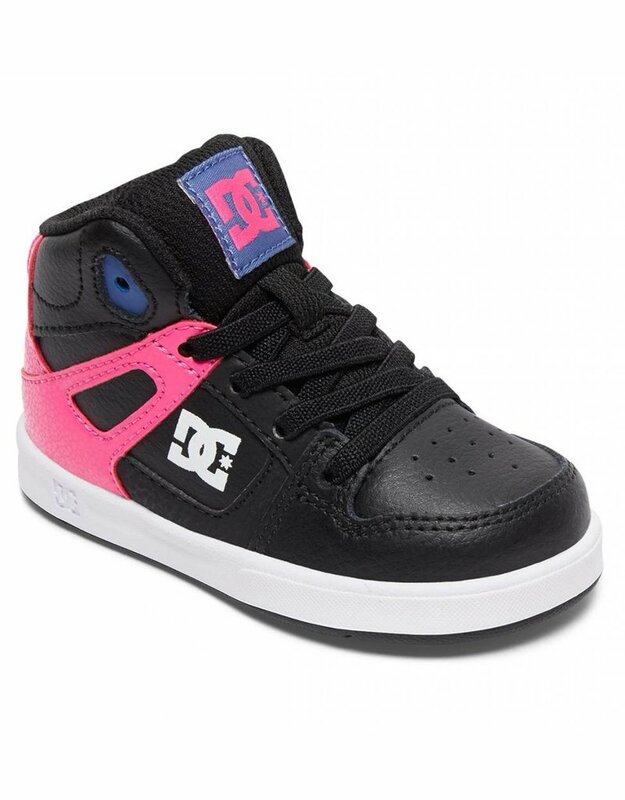 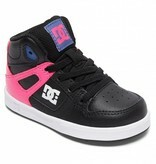 The DC Rebound UL High Top Shoes for toddlers in Black/Pink. 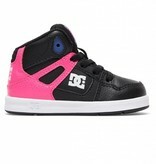 These mini high tops have stretch laces so they are easy to slip on and off without help from mom and dad. 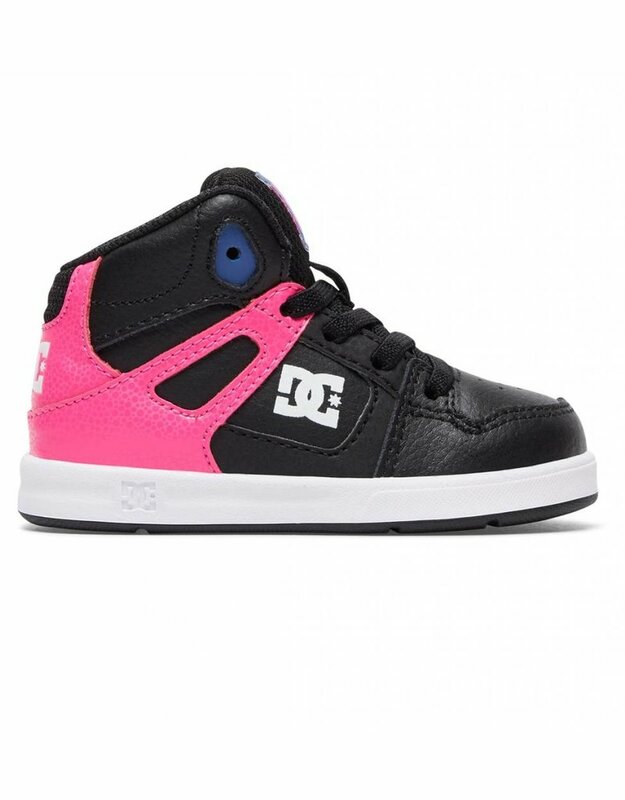 DC Toddler Shoes Online Canada.